You may find yourself clueless about what to pack if you do not know what the wedding event’s dress code is. While it is a beach wedding, you may still be required to wear more conservative attire for religious purposes. It is also possible that the wedding does not have any form of a dress code. This does not mean that you should not decide on what you should wear. Take the weather into consideration before you buy a dress. Most women prefer a bright colored outfit. For men, a light colored dress shirt (with or without tie) will suffice. Wrinkles in your clothes are common when you fold them. Choose materials that will not wrinkle easily. Your carry-on luggage should contain the clothes you are going to wear for the wedding. 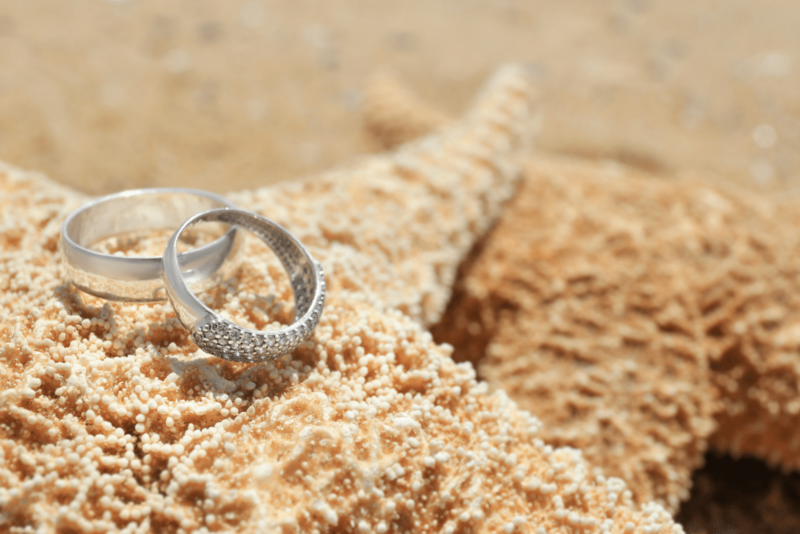 Of course, a beach wedding means you’ll be able to go for a swim in days preceding or afterward, so be sure you bring your swimsuits as well. Beachgoers often enjoy going barefoot in the sand, but it may be a different story if you are attending a beach wedding. Either wear a pair of wedges (regular heels are likely out of the option) or sandals to match the occasion. But, depending on the wedding couple, shoes may very well be entirely optional. It’s not uncommon to see barefoot beach weddings, especially for parts of the affair that are in the sand. Do not forget to bring comfortable shoes if you are planning to stay for a few days. Just like your beach vacation, you will need to pack a travel toiletry and beauty kit. Wearing sunscreen is important when going to the beach because it protects your skin from the harmful UV radiation. If it is windy, you will also need to bring hairspray and bobby pins to keep your hair in place. You may want to take a flat or curling iron to style your hair. Toiletries like deodorant, shampoo, body wash, and moisturizer are essential. You may want to stick to something you know, instead of risking a new product provided by the hotel. Travel size versions will be easy for you to pack. If you are not planning to stay unplugged, you can bring your electronics to your travel destination. You can take a snapshot of the wedding and the beach. Do not forget your waterproof (or sandproof) cases to protect your electronics. The best electronics to bring along are cell phones, speaker and cameras. You cannot also leave home without packing your personal items like your passport, credit cards, cash, identification, and medication. Pack your bags in advance so you will have time to go over your checklist to make sure you are not missing anything. You can also do some research on the place or hotel you are planning to stay. A packing checklist ensures that everything goes as planned. Do not be late unless you want to draw the attention away from the bride, be present when the bride tosses the bouquet, and have fun! You could be the next bride. 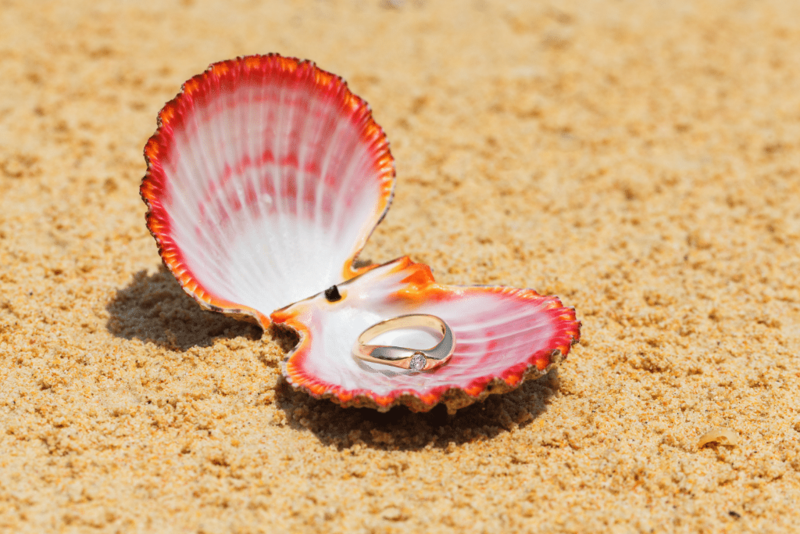 Get in touch with us to know more about our beach wedding packages and services. We are located within within the main entrance to Lovers Key State Park near the gift shop, located on Fort Myers Beach, 10.5 miles west of exit 116 Bonita Beach Rd. off of I75. Lovers Key State Park is accessible via Bonita Beach Road in Bonita Springs or San Carlos Boulevard in Fort Myers. Lovers Key is located between Fort Myers Beach and Bonita Beach, Florida.